The selfie is everywhere - Facebook, Instagram, Twitter - and soon your bank could be asking for one in order to approve your purchase or credit card application. Payment processing giant Visa is launching a platform to allow banks to integrate various types of biometrics - your fingerprint, face, voice, etc. - into approving credit card applications and payments. 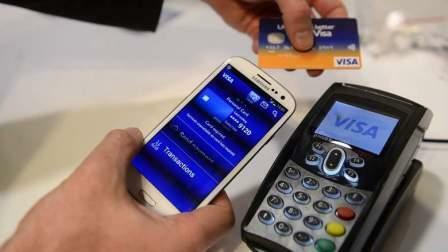 Consumers could experience Visa's new platform in a couple of different ways. If a person were to apply for a credit card application on their smartphone, the bank app could ask the applicant to take a selfie and then take a picture of a driver's licence or passport. The technology will then compare the photos for facial similarities as well as check the validity of the driver's licence, all happening within seconds. The selfie could also play a role in an online purchase. With the wider acceptance of chip cards in the last couple of years, in-person fraud at retailers is on the decline. But online fraud is still a concern, with as many as one of six transactions being declined due to suspicious activity, according to Mark Nelsen, senior vice president for risk and authentication products at Visa. This new technology could allow the customer to use Apple's Touch ID or other fingerprint recognition technology, or take a selfie or record their voice, to verify they made the transaction.